Whether you need group transportation for a bachelorette party, your wedding day, or anything in between, you can rely on Boston Charter Bus Company to handle it all. 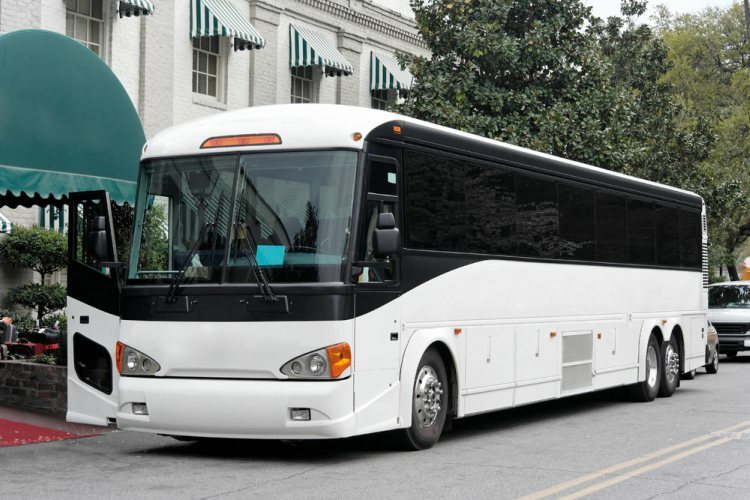 No matter the size of your group, we have access to a wide variety of modern, clean buses, from 18-passenger minibuses to full-sized 56-passenger coaches. In need of a bus rental for your wedding events? Call us anytime at 617-314-7577 to speak to a 24/7 reservation specialist. Why add guest transportation to your list of to-dos during wedding planning? Let a professional like Boston Charter Bus Company take the stress out of organizing transportation for you. We’ll pick up out-of-town guests from their hometown to ease the stress of traveling long distances and expensive airfare. If you have guests arriving at Logan International Airport, we’ll arrange a personal shuttle service to pick them up and bring them to their hotel. Let your guests enjoy your wedding day with a personalized shuttle service. We’ll arrange a bus rental to pick guests up from their hotel and drop them off at a top-rated venue like State Room. When vows have been exchanged and the reception has come to an end, we’ll ensure everyone arrives back safely, no matter how many drinks they’ve had. Keep your wedding party organized and stylish in your own personal bus rental for your wedding day! Your driver will take the most efficient route to your venue so you can focus on your big day and spending valuable time with your closest friends. Ride with top-notch amenities like flat screen TVs, a radio system, cushioned seats, and more. Enjoy drinks, games, and music while you leave the rest of the transportation to us. Let us make your celebration special with a private bus rental just for your group. We’re experts at organizing group transportation for engagement parties, bachelor and bachelorette parties, and bridal showers across different price points. All you need is a group of your friends and your itinerary, and we’ll handle the rest. Have the time of your life and arrive back home safely without a single transportation worry. Let Boston Charter Bus Company make your wedding planning a little easier with private, modern bus rentals. To speak to reservation specialist, call anytime at 617-314-7577. We’re available 24/7 to help plan your special day!